Early engagement with customers ensures optimized system design, reduced project risk, and adherence to schedule and budgetary requirements. From topside to subsea, our systems integrate products designed to meet your requirements. 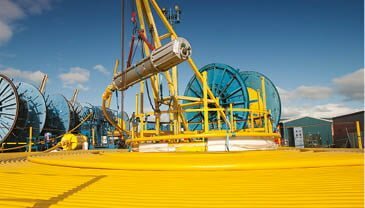 Our umbilicals meet the demands of increasingly harsh operating conditions. Industry-first, high-pressure, collapse-resistant thermoplastic hose line capable of operating at 10,000 psi. Three standard sizes and ancillary equipment provide versatility for making vital connections. Available in project-specific extruded or bundled thermoplastic hose and steel tube configurations. 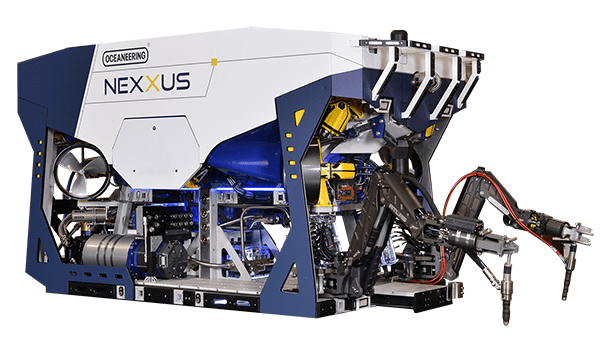 Suit your installation methods and project seafloor conditions. Customizeable to meet installation and operational demands. Accommodate the complete distribution of hydraulic, chemical, electrical and optical functions. We understand the criticality of your subsea distribution systems and deliver solutions designed to function effectively, without maintenance, through the entire design life. We deliver peace-of-mind and reliability by designing and manufacturing systems using third party verified approaches that help us predict and demonstrate how products will perform. In-house analysis, test, and qualification capabilities enhance confidence in predictability. This detailed understanding provides you with assurance that systems will function safely and as expected when deployed.